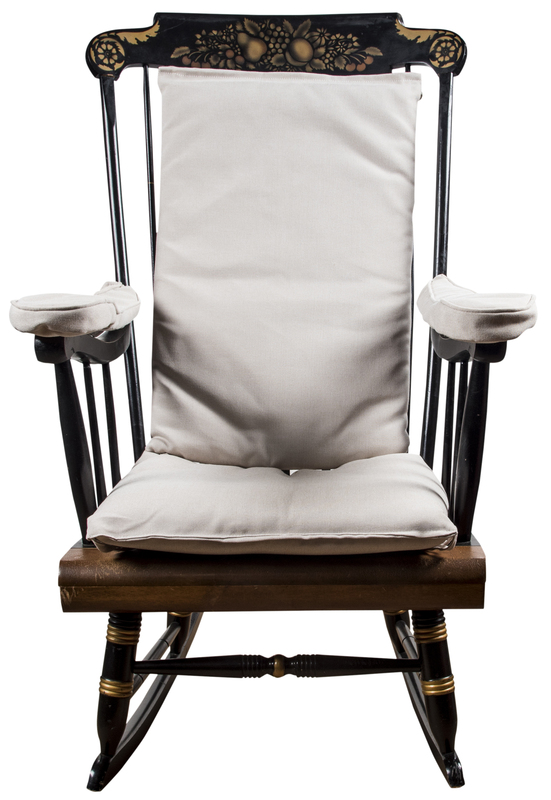 Although John F. Kennedy was the model of youth and vigor to millions of Americans during his presidency, it seems a bit ironic that his preferred chair would be the classic rocking chair. In fact, Kennedy’s old war injury, suffered when the Japanese sank his PT boat, caused him great pain throughout his later life. 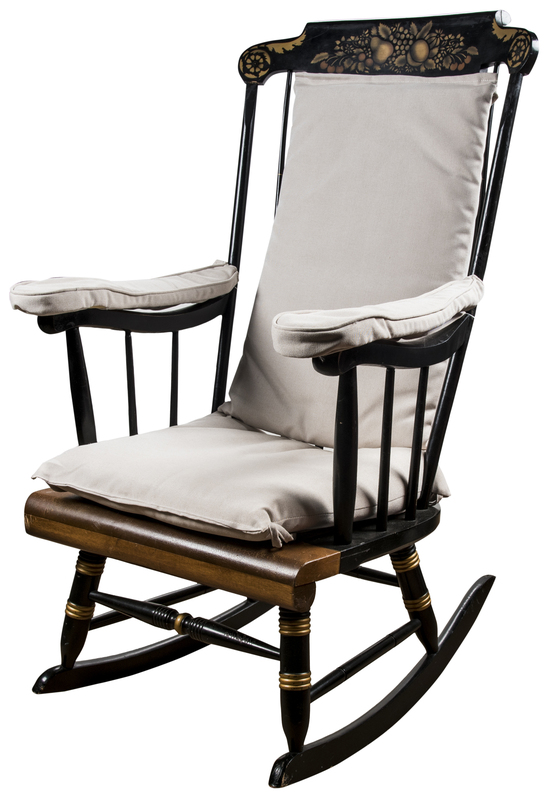 Kennedy tried a variety of chairs that would alleviate the pressure on his back and found that the classic Hickock-style wooden rocking chair worked best. 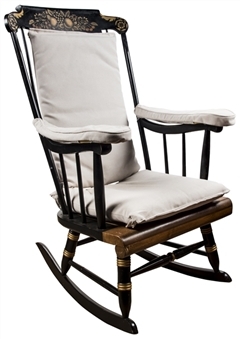 This rocker was used by John F. Kennedy in the White House, and subsequently used by his successor, Lyndon B. Johnson. 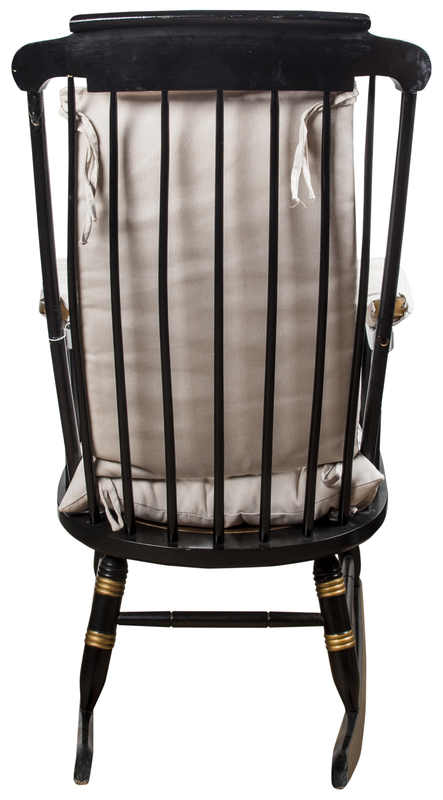 The chair frame is constructed of black-stained maple with a gold-stenciled fruit motif on the crest and gold painted details on the legs and rails. The seat is a warm brown and has been modified with removable canvas cushions on the arms and seat. 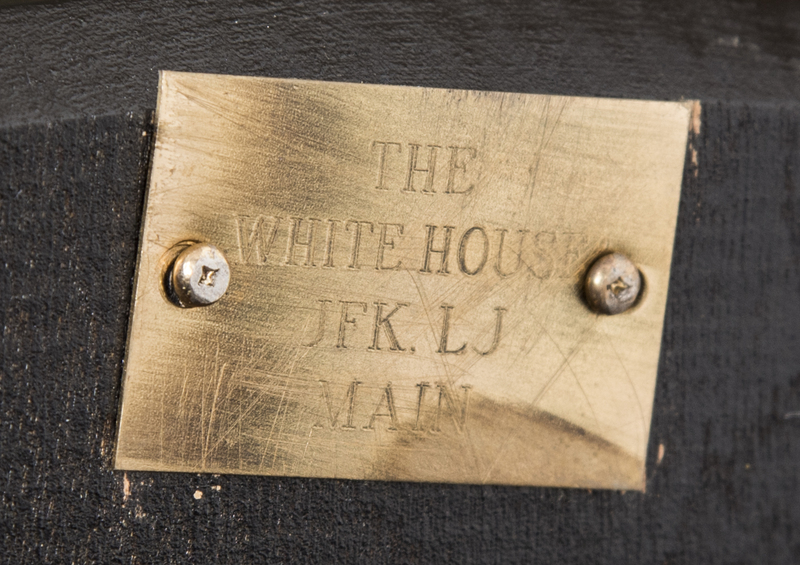 Underneath the seat, there is a brass square attached with two screws that has engraved "THE WHITE HOUSE JFK, LJ MAIN". 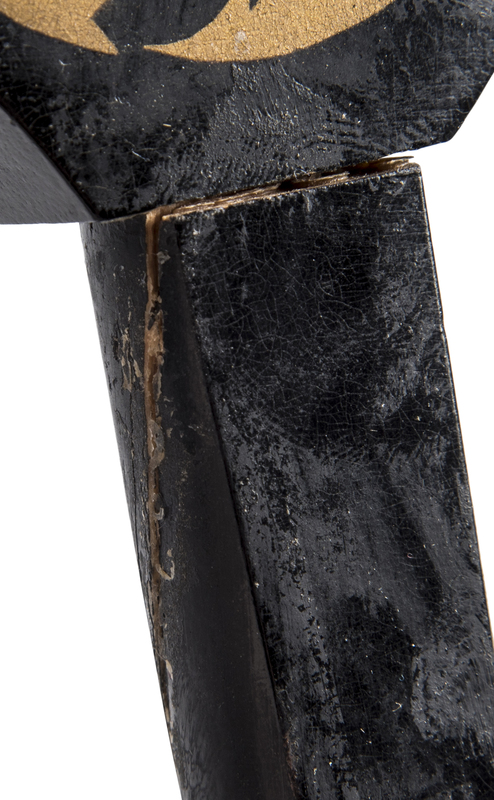 Being that it was JFK’s preferred chair and it’s continued use during LBJ’s presidency, the piece shows good use, and some restoration was done to preserve its appearance. Please note that there are two small cracks on the main left bar attached to the armrest. A very unique piece of presidential memorabilia that is attributed to one of the country’s most iconic leaders. 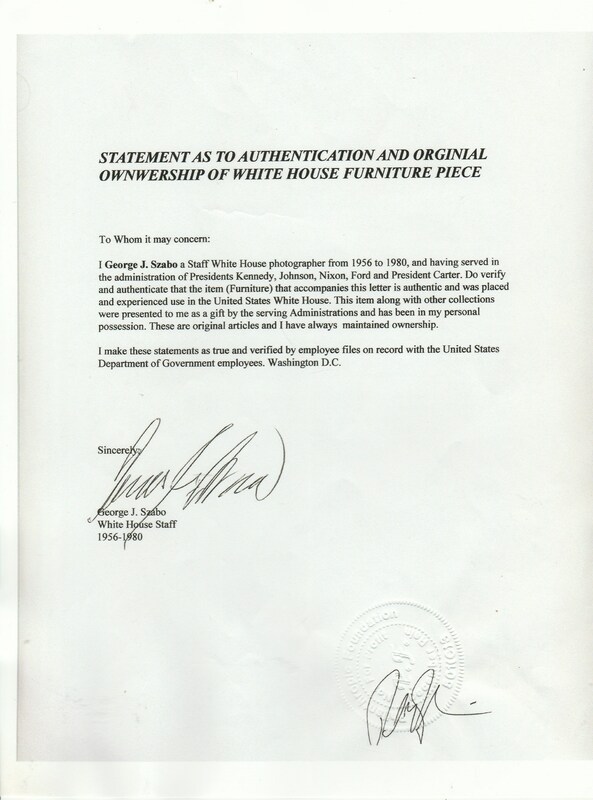 This item comes with a letter of provenance from George J. Szabo, who was a photographer in the White House from 1956-1980 and attests that this chair was used by Kennedy and carried over to the Johnson Administration and was eventually gifted this item.